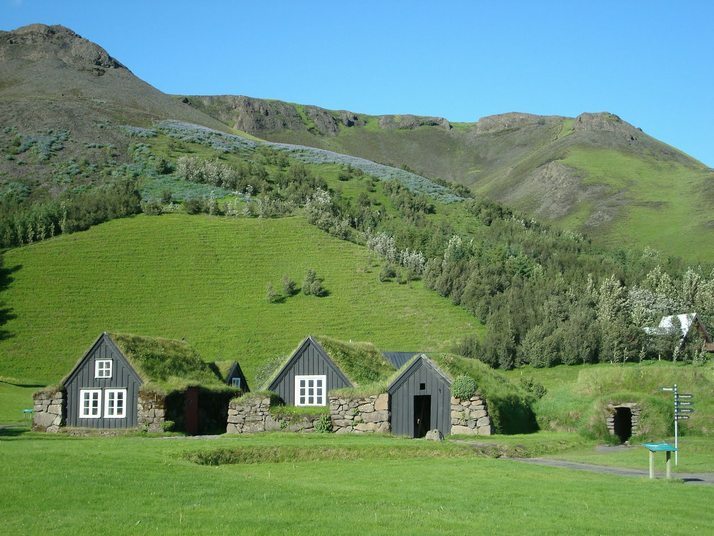 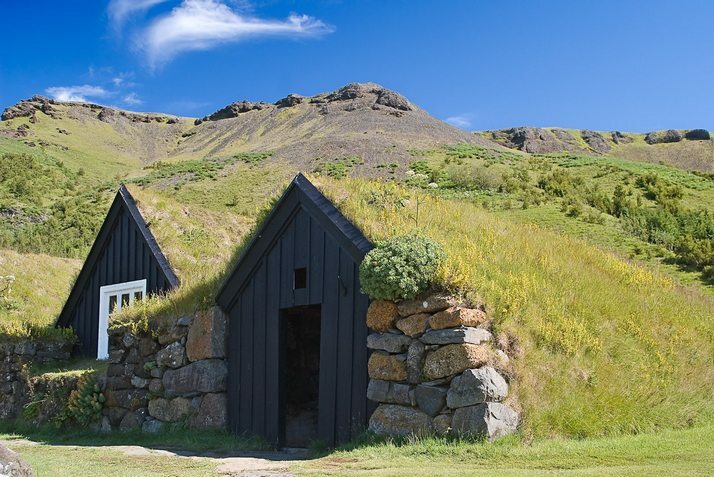 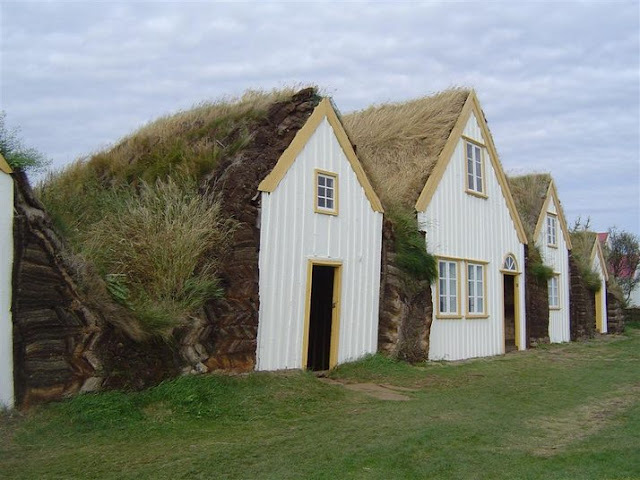 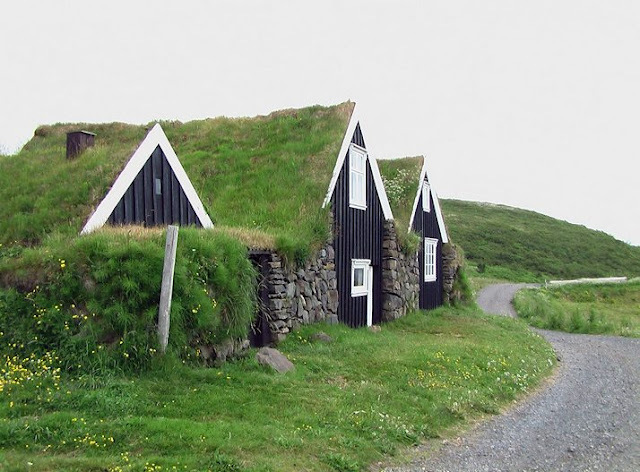 The Icelandic turf house was the product of a difficult climate, offering superior insulation compared to buildings solely made of wood or stone, and the relative difficulty in obtaining other construction materials in sufficient quantities. Due to the lack of transport and Iceland’s remoteness, importing foreign timber was not very common and mostly reserved for ship and church building. 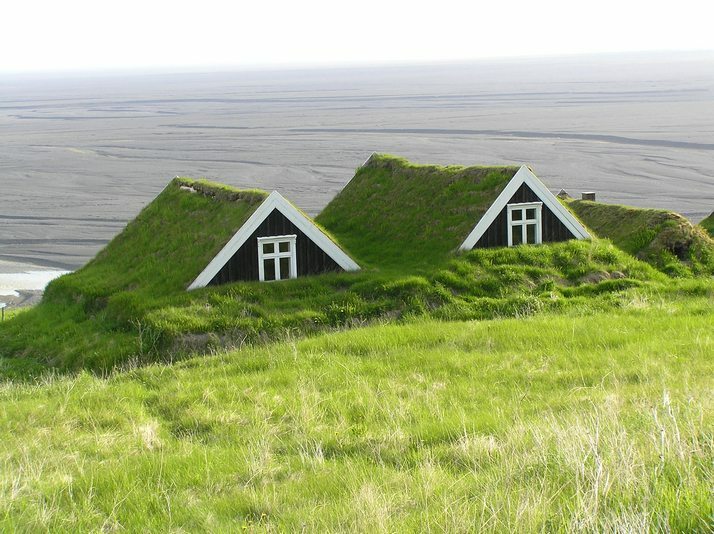 However, Iceland did have a large amount of turf that was suitable for construction. 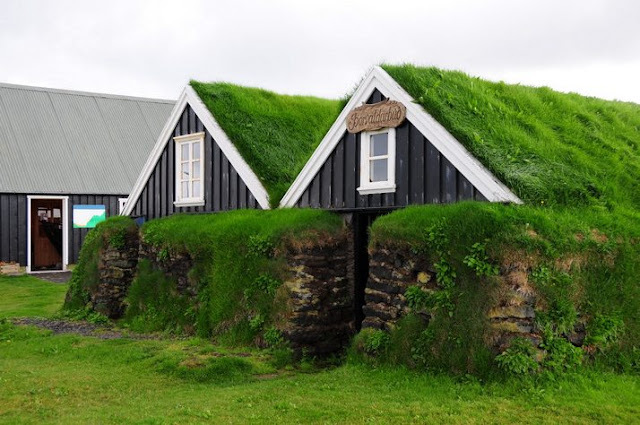 The turf houses are made of flat stones, and upon this was built a wooden frame which holds the load of turf. 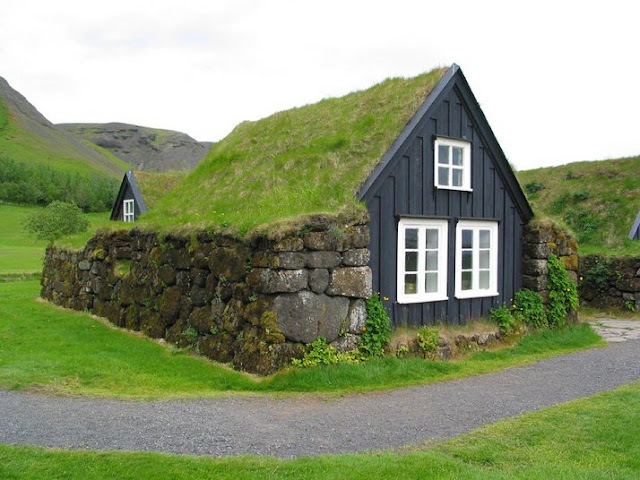 The turf would then be fitted around the frame in blocks often with a second layer, or in the more fashionable herringbone style. 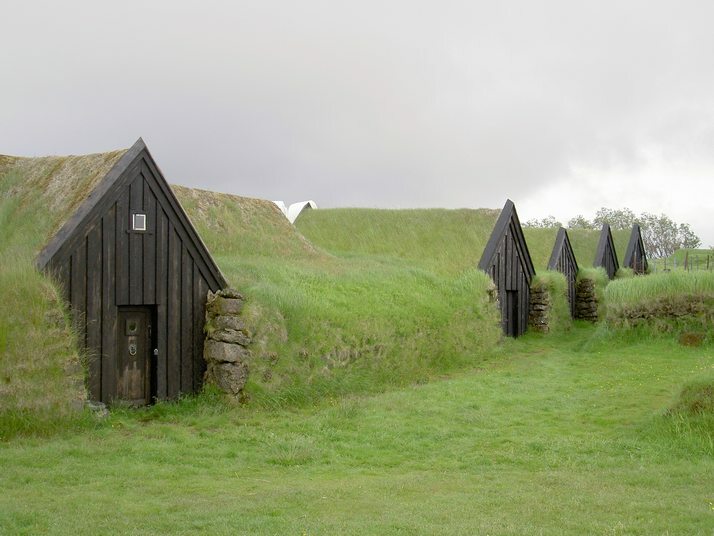 The floors of turf houses could either be covered with wood, stone or earth depending on the purpose of the building. Another interesting aspect of the Icelandic turf house was the introduction of attached toilets, which were communal, and the act of going to the attached toilet was often done in large groups. 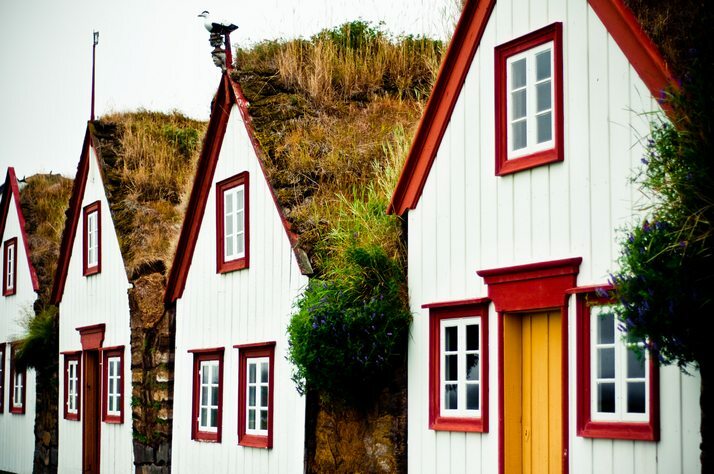 The doors are made of wood and they are the only external wood on the house. 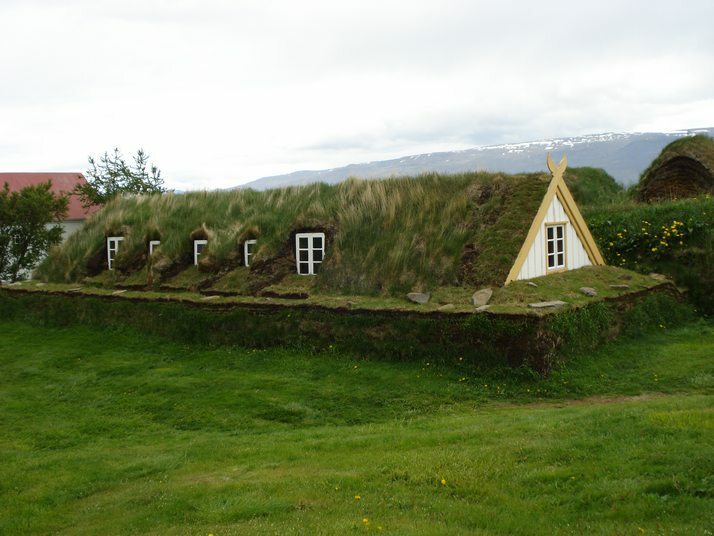 The floor of a turf house could be covered with wood, stone or earth depending on the purpose of the building. They contain grass on their roofs.